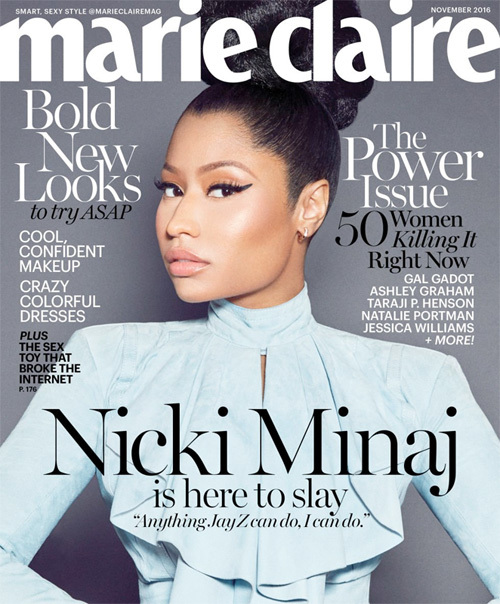 Nicki Minaj has graced the front cover of PAPER Magazine not once, not twice, but a total of three times. The Barbie covers the magazine’s Winter 2017 issue that is titled “Break The Internet”, which will be released on newsstands November 28th. You can check out the “Minaj A Trois” cover above and get a behind the scenes look at Nicki‘s cover shoot with PAPER Mag after the jump below. Enjoy! Nicki Minaj graces the front cover of HITS magazine’s latest print issue with some iced-out teeth. You can check out the Young Money Barbie and her grillz on the front cover of the Volume 30 edition of HITS above! Sports World Magazine have released their Winter 2017 issue and it features Drake on the front cover (see above). 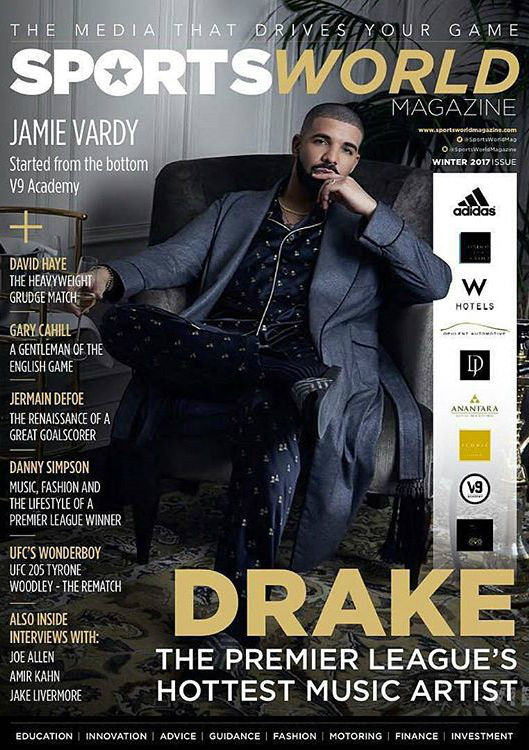 The title of magazine’s latest issue is “The Premier League’s Hottest Music Artist”, which I would presume means that Drizzy is the most-played artist before a football/soccer game in the English Premier League. You can now pick up a copy of this issue of Sports World Magazine on newsstands today, or read it digitally here! 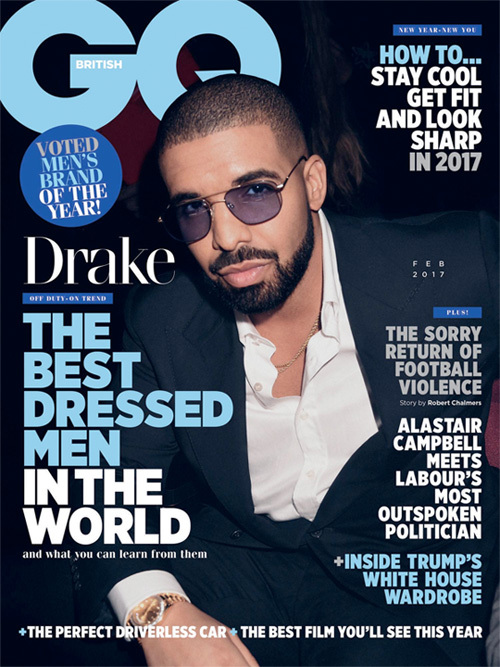 Drake graces the front cover of British GQ magazine’s “The Best Dressed Men In The World” issue, which you can see above. 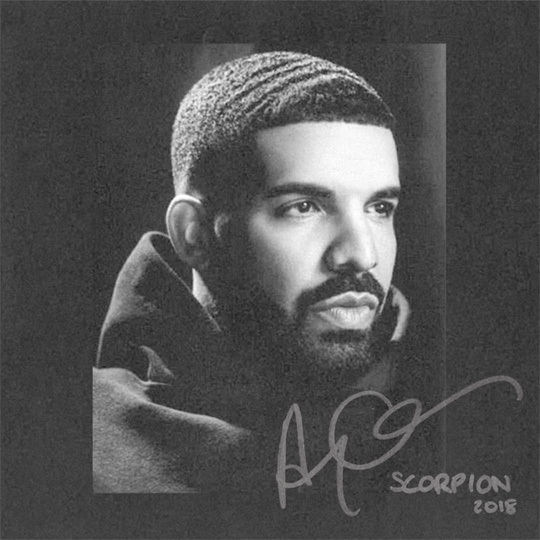 The issue includes 50 of the world’s most-stylish men and it is Drizzy who takes the #1 spot with Eddie Redmayne at #2, Luke Evans at #3, Connor McGregor at #4, and Tom Hiddleston at #5. You can read why British GQ placed the 6 God in first place after the jump below! The magazine issue will be available on newsstands tomorrow (January 5th).